Quform WordPressFAQEntriesHow do the saved entries work? There is a dashboard widget which shows if there are any unread entries which links to the list of submitted entries (also accessible through Quform → Entries on the WordPress menu). 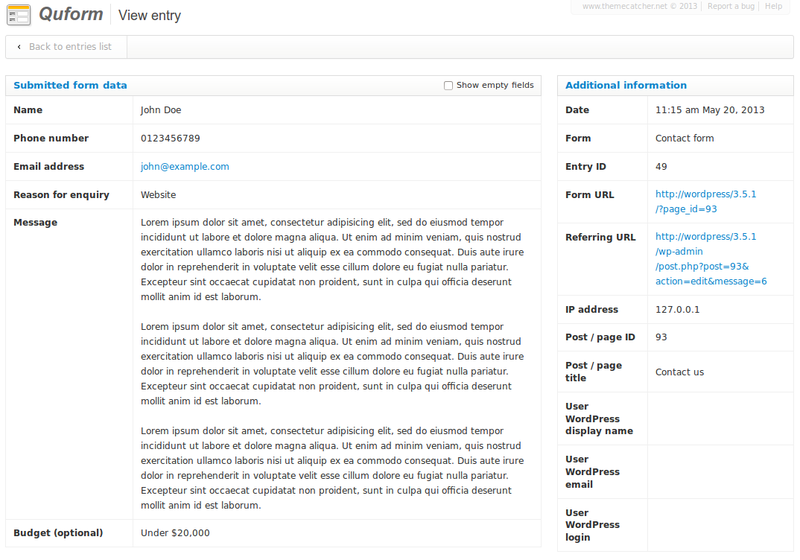 The entries list is a paginated list of submitted entries with a preview of the data, you can customise the columns to show only fields which are most useful to you. 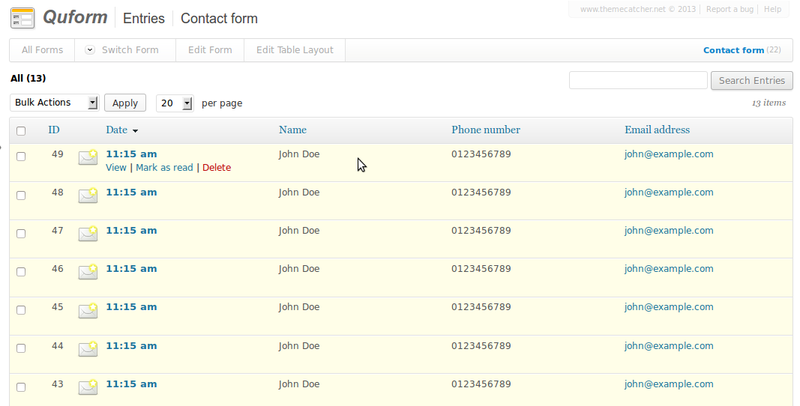 Clicking to view an individual entry shows all of the submitted form data.